clear, concise messages to your customers. azpro has been a valued partner to King Soopers and City Market for a few years now. Very recently we had a store décor project that needed a special touch and the team at azpro certainly delivered. Everyone on their team is enthusiastic and excited to go above and beyond to exceed all of our expectations. The talented designers are open to direction but are also able to offer a modern outlook on trends. I would definitely recommend azpro and look forward to our continued partnership with them. 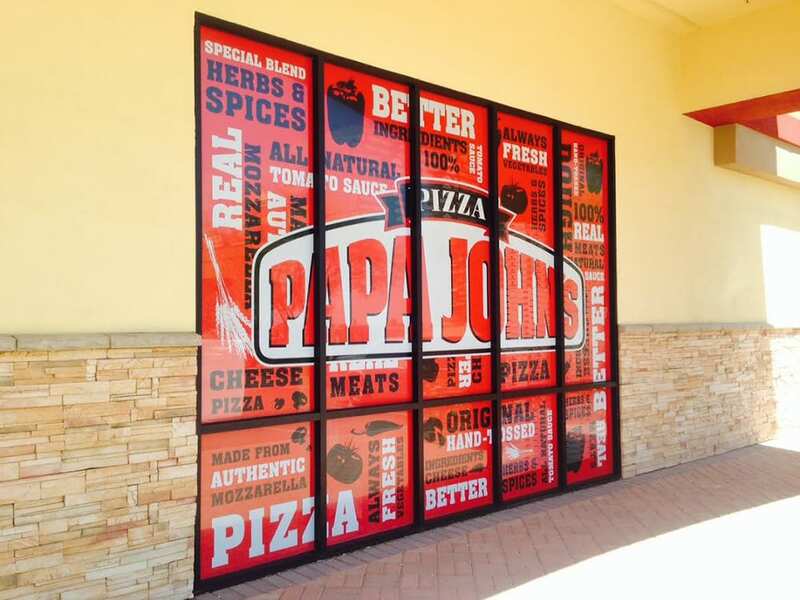 Custom retail and window graphics draw attention to your company. Whether you are opening a new business, or you are letting your customers know about an ongoing promotion or event, window graphics are a great way to advertise to your customers. Our design team at azpro group is second to none. They love to problem solve and work alongside you to brand your company and get the perfect design. They understand the need for quality control and creating a window graphic that conveys the right message. We have the capability to print and produce all size of retail and window graphics in our 18k square foot facility. From design and creation to printing and fabrication to installation, we have the right people and equipment to help you every step of the way. Contact us today to get a quote for your upcoming retail and window graphic project.